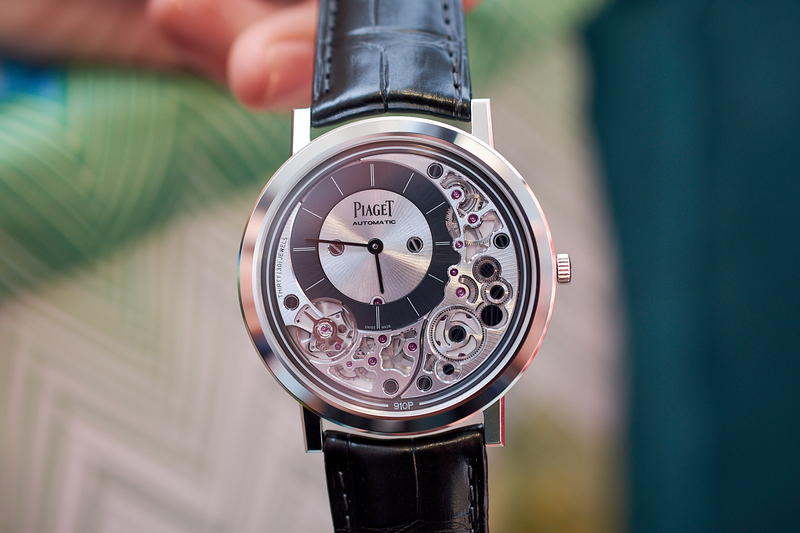 The Piaget Altiplano Ultimate Concept watch was one the most talked about timepieces at this year’s SIHH. Many were joking around that they wouldn’t even dare wear such a thin watch because it could be broken with a sudden hand gesture. A number of watch companies such as Audemars Piguet, Jaeger-LeCoultre or Vacheron Constantin have been creating ultra-thin watches. 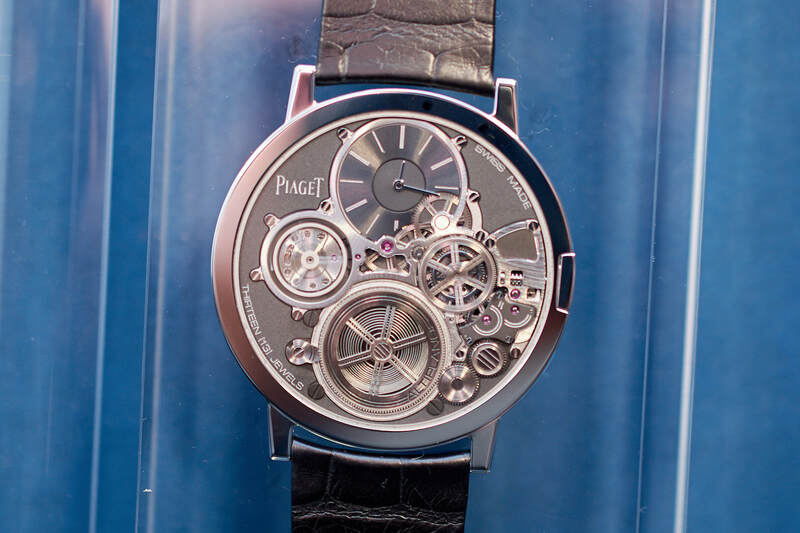 However, it is probably Piaget’s name that built up the strongest association with extremely slim timepieces throughout the years. 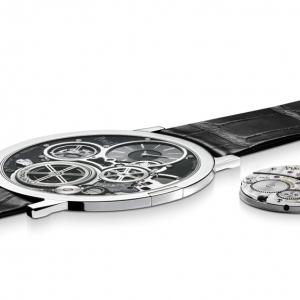 In 1957, the brand introduced the ultra-thin Calibre 9P (2mm thick) movement that is famous to this day. A few years later at the 1960 Basel Fair, the hand-wound calibre was followed by the Calibre 12P the world’s thinnest automatic movement (2.3mm). 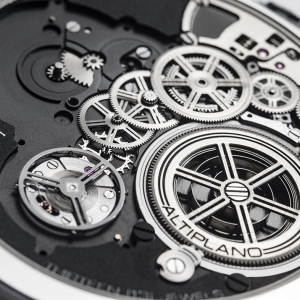 Integrated within the movement is a 24k gold micro-rotor ensured efficient mainspring winding. The innovations applied paved the road for a series of creative and thin designs. Piaget dedicated the year 2017 to the Altiplano watch celebrating the 60th anniversary of the collection with limited numbered editions. The Altiplano was once again in the spotlight in 2018 with a massive hit achieved by a tiny body belonging to the Altiplano Ultimate Concept watch. Leading up to the main attraction, the Altiplano Ultimate Automatic occupied the brand’s pre-SIHH communication. The Altiplano Ultimate Concept, developed over 4 years by 3 dedicated engineers at the Piaget Research and Innovation division, is the world’s thinnest mechanical hand-wound timepiece. In the same 2mm thickness as the aforementioned Calibre 9P, they managed to squeeze in everything. 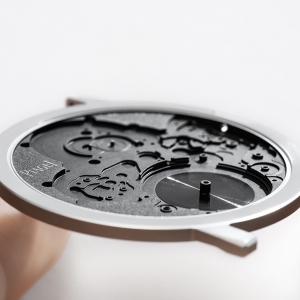 The main idea was to completely reimagine the architecture of a watch by fusing the movement, the case and the bezel. The front crystal had to be reduced to an absolute minimum (0.2mm) while still meeting the modern criteria of shock- and water-resistance (3 ATM). Components were also trimmed down, but despite the extreme measures there is no compromise in reliability or in the level of finishing. The balance wheel, situated at 9 o’clock omits the bridge and balance staff and runs on ball bearings. The barrel is actually just a hollow with no drum and cover – it is covered by the ratchet wheel. The mainspring is also mounted on ball bearings and in spite of its size it supplies energy for 44 hours. The traditional crown was replaced by a ‘telescopic’ crown which was integrated into the case-band. 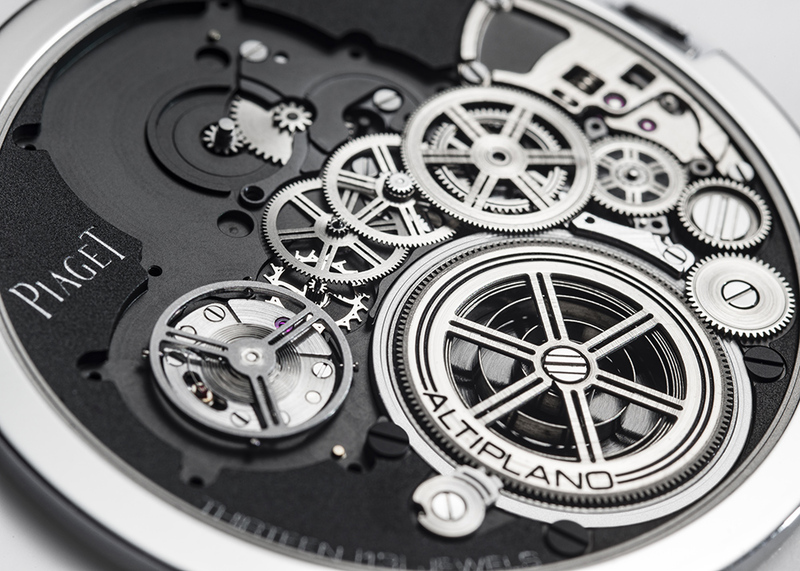 The Altiplano Ultimate Concept has successfully stretched the boundaries of mechanical watchmaking even further. The concept watch will not be commercially available – one reason probably being its size which is not practical for everyday use, but the developments will emerge in other thin pieces to come. While the Concept watch or its derivatives will not hit the stores anytime soon, the 41mm Altiplano Ultimate Automatic will be part of the standard collection, available in white gold or pink gold. 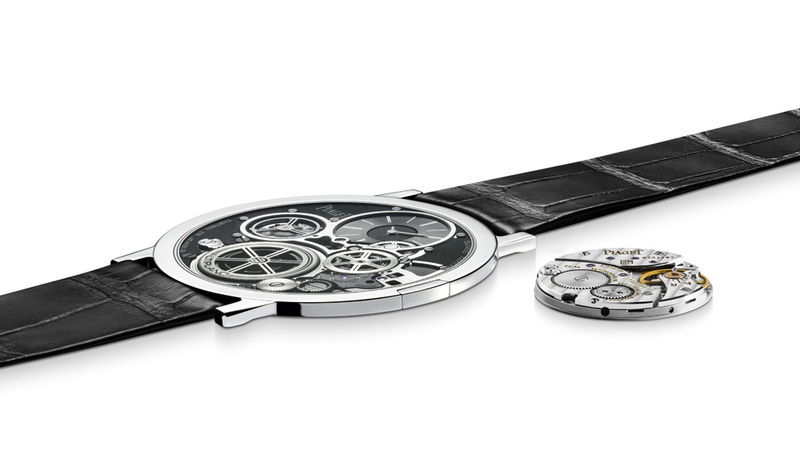 With its thickness of 4.30 mm, the Altiplano Ultimate Automatic boasts a new world record for thinness at Piaget, for the world’s thinnest automatic wristwatch. 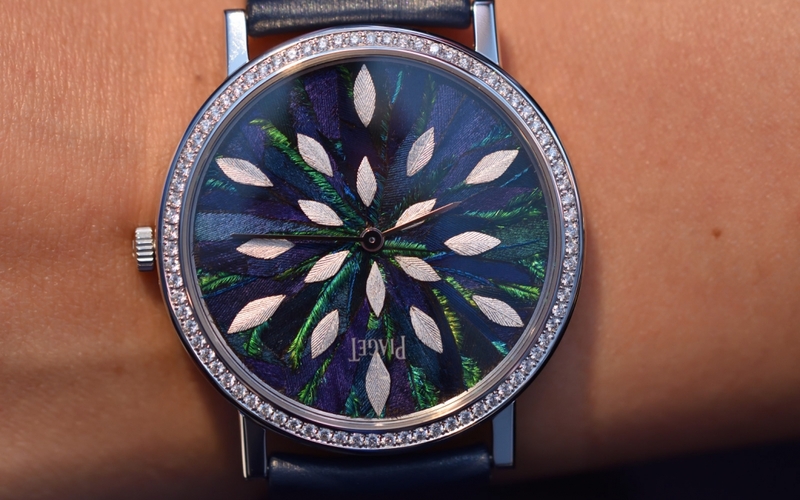 In 2014, to mark Piaget’s 140th anniversary the company presented the ultra-thin Altiplano 38 mm 900P. 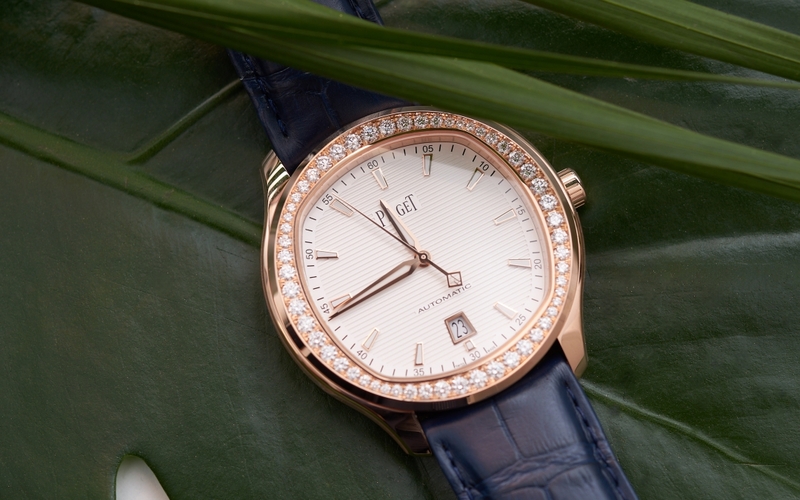 What we see in the 2018 models, that the case back of the watch also serves as a bottom plate for the movement, was also employed in the 2014 timepiece. 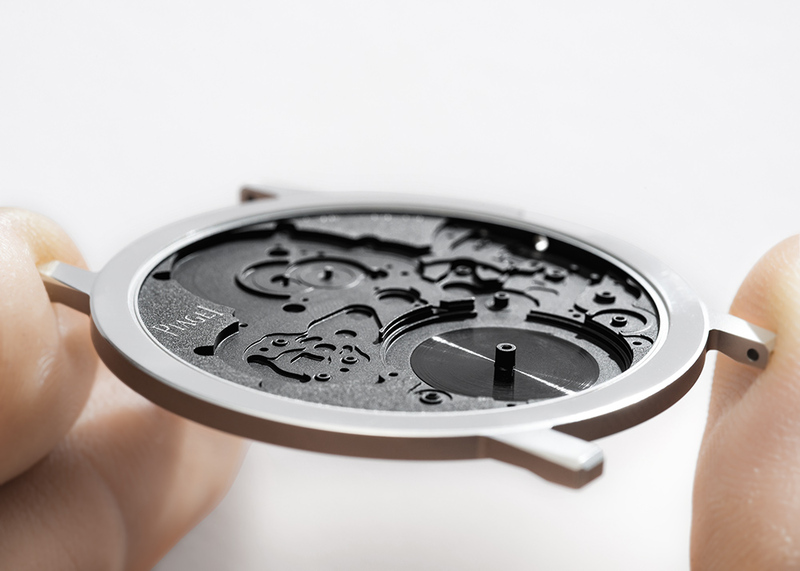 The new Calibre 910P and the case form a single entity with the latter serving as the main plate to which the extremely thin components are affixed. The construction of the movement is reversed; the bridges are fitted on the dial side. 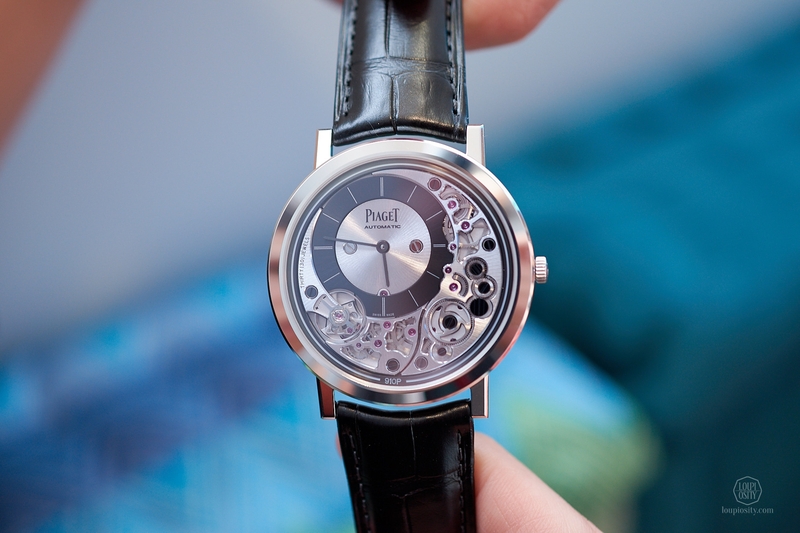 On this level of slimness the watchmakers and designers have to strive for every tenth of a millimetre. Certain wheels for example are just 0.12 mm thick (compared to 0.20 mm on a traditional movement). 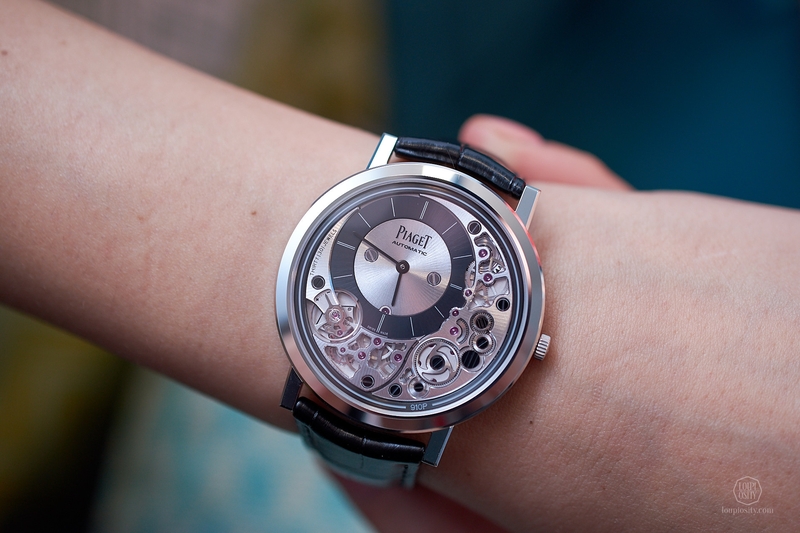 Piaget has been pushing for the ultimate thinness. In 2017 they also took a more active role in the field of micro-mechanical engineering and miniaturisation in mechanical design, outside their own R&D division. 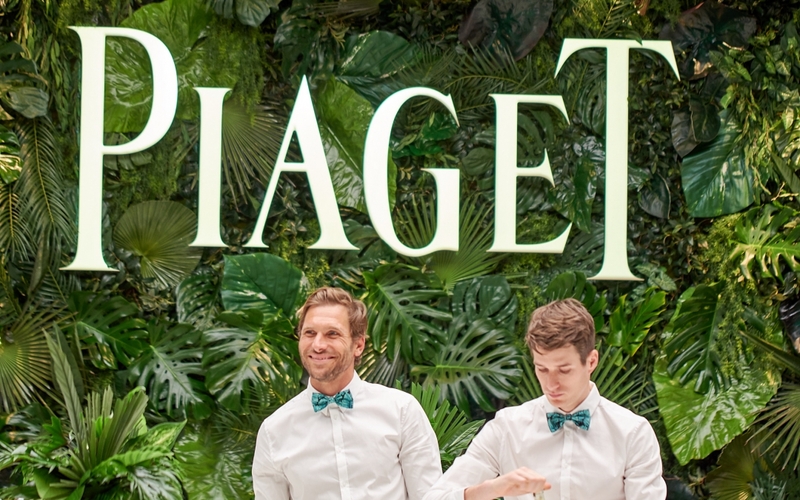 The Piaget Scientific Award rewards a candidate whose PhD thesis presents a particularly innovative research topic, the result of which may pave the way for major technological progress in the broad field of miniaturisation. The competition is established in partnership with the prestigious Ecole Polytechnique Fédérale de Lausanne (EPFL) in Switzerland. The winner was revealed this January: Dr Martin Coux, 29 years old, an engineer from AgroParisTech, ESPCI, and doctor from the Paris Sciences et Lettres University. See more here.